Applied Energetics specializes in the development and application of high power lasers, high voltage electronics, advanced optical systems, and energy management system technologies. Applied Energetics pioneered the development of Laser Guided Energy®; man-made lightning technology for military and security applications. Additionally, the company is involved in a range of energy-based defense, industrial, scientific, and aerospace programs with customers worldwide. LightWorks Optics provides responsive engineering solutions focused on resolving the complex optics needs of top defense, space, and commercial companies. We specialize in concurrent engineering collaboration with customers to develop integrated optical systems solutions for advanced optics applications. WestWind Technologies, Inc. Selects Finesse ERP Software for Speed and Flexibility. Aerospace and Defense Electronics Manufacturer Streamlines Operations With Finesse. VT Halter Marine, Inc. is a modern and progressive shipbuilder utilizing cutting-edge technologies to design and build the world's highest quality maritime products. VT Halter Marine shipyards have an impeccable 50-year tradition of shipbuilding excellence as an internationally-acclaimed shipbuilder, noted for being the largest designer and builder of small to medium-sized ocean-going vessels in the United States for many years. 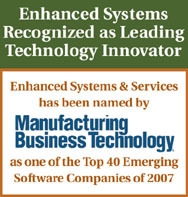 SUMMA Technology, Inc. is a leading manufacturer of precision machined components, robotic systems, mechanical systems, and other sophisticated subsystems, catering to military, aerospace, defense, automotive, industrial, and other custom engineered applications. The Jorgensen Forge Corporation is a major producer of stainless steel and aluminum alloy custom forgings and precision machined forgings for such widely diversified industries such as; energy (oil exploration), commercial aircraft, aerospace, shipbuilding, petrochemical, automotive, power generation and other industrial applications. The company has positioned itself to become a valued titanium-forging supplier and contour ring producer. Jorgensen Forge currently employs 160 people on a 22-acre site with 350,000 square feet of manufacturing space. Since its founding in 1970, ESI has strived to provide its customers with superior value and quality in energy curing systems. Whether it's the newest EZ Cure, representing the smallest and most economical electron beams available, or high output UV systems that provide increased UV power with improved operating efficiency, ESI continues to advance the state of the art in energy curing systems. George Koch Sons is a world leader in the design, construction and installation of finishing systems and other specialty industrial equipment that, for more than 65 years, have provided the highest quality, value, innovation, and service. KOCH's innovation, engineering excellence and project management expertise has made us the leading choice of over 1,200 quality-driven manufacturers in nearly 40 countries. Manufacturers including John Deere, Caterpillar, General Motors, Carrier, General Electric. Disparate business systems leads complex equipment fabricator to implement integrated Finesse ERP software. EBARA Technologies, Incorporated (ETI), is a world-leading manufacturer of vacuum pumps and advanced technology products for clean environments. ETI operates two divisions (Components Division / Semiconductor Equipment Division) that are leading worldwide suppliers based on our state of the art production facilities, innovative technology and reliable products that consistently exceed the requirements of today's industry and dynamic marketplace. Signal International, LLC is a leading marine and fabrication company in the Gulf of Mexico. We have a proven track record for high quality repair, overhaul, fabrication, modernization and new construction of semi-submersibles, jack-ups, and vessels for the offshore drilling and marine industry. Harrison Dock Builders is a full service marine contractor specializing in site specific dock systems and hardware. We offer the following design and fabrication services: boat and jet ski lifts, trams, boom logs, breakwater design, dock and pier repair, gangways, marina design and salvage, piers, sea walls, helix piers & anchors and docks. Bergkamp Inc. is an international leader in the design and manufacturing of asphalt preventive maintenance equipment. For more than 25 years, our equipment has been providing cost-effective road maintenance solutions proven to help extend the life of highways, roads and parking lots. Bergkamp offers advanced equipment to address the most pressing pavement maintenance needs:Slurry seal/microsurfacing pavers and equipment, Pothole patching equipment.